Bucharest general mayor Gabriela Firea has announced on Facebook Sunday morning that she is inviting PSD chairman Liviu Dragnea to a face-to-face confrontation on the budget topic, “figures on the table” so that the country will see who is lying. Firea argues that EUR 180 million has been cut from the Bucharest local budget through the state budget draft for 2019. The Capital mayor also accused Dragnea that he is bankrupting Bucharest through the budget draft. “What Mr. Dragnea is doing now through the Budget Draft is the bankrupt of the Romanian Capital for one single reason: to get back at me for I had the courage to tell him that he’s isolating the country and destroying the political team,” Firea argued. “The civil servants and dignitaries who put in practice everything that Mr. Dragnea orders should think twice for they will be personally held responsible, maybe even for abuse of office. He will flee the jurisdiction, as he did in the case of the GEO 13 that was planned by him: when he saw the negative reactions, he blamed the subordinates. Like a real statesman! He’d better not hide behind Olguta, Codrin and Doinita! He’d better come personally to explain why he wants to create chaos in Bucharest“, the mayor concluded. Gabriela Firea had sent an open letter on Saturday, slamming the state budget draft and launching new accusations against the chairman of the ruling Social Democrat Party (PSD), Liviu Dragnea. Firea says the budget draft cuts almost 25% of the Bucharest’s budget for this year, accusing Dragnea that he hates Bucharesters. 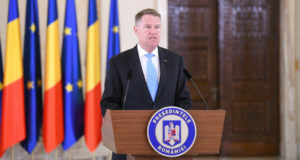 „With all responsibility, I inform you that, through the state budget draft Romania’s Capital will have EUR 180 million cut from its budget, meaning by almost 25%! I draw the conclusion that Mr Dragnea, the one who is actually at the helm of the government, hates Bucharesters. Never has been a politician so fiercest against Bucharesters and against the inhabitants of the cities in Romania,” Gabriela Firea says in the letter. She accused the PSD leader that he wants to cause havoc and to turn the Capital City Hall against the district city halls. „They say a lot of money has been cut from the Capital City Hall to be allotted to the districts. It is a poisonous apple! All that Mr Dragnea wants is to cause havoc and turn us one against another. Both the Capital City Hall and the district halls need financing, for they have different tasks. 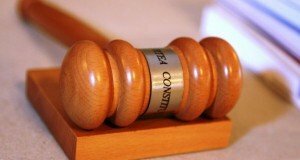 I warn that citizens will be directed prejudiced,” the general mayor argues, adding that less funds will directly impact on Bucharest, as it is the business card of the entire country. 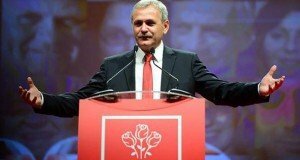 „Foreign embassies are based in Bucharest, it is here that most of the tourists are coming, a Capital is the business card of the entire country (…) Whether Mr Dragnea likes it or not, Bucharest is hosting half of the meetings of the Romania’s rotating presidency of the EU Council,” Firea underlined. She further said that the fact that pensions and salaries are up is not Dragnea’s personal merit, but of the entire party team. Firea concluded by asking ALDE and PSD „not to let themselves lied by the charts with beautifully manipulated figures brought by Dragnea at the meetings” pointing „the budget is pink”, because it is not the case and the citizens and investment projects will get hurt.